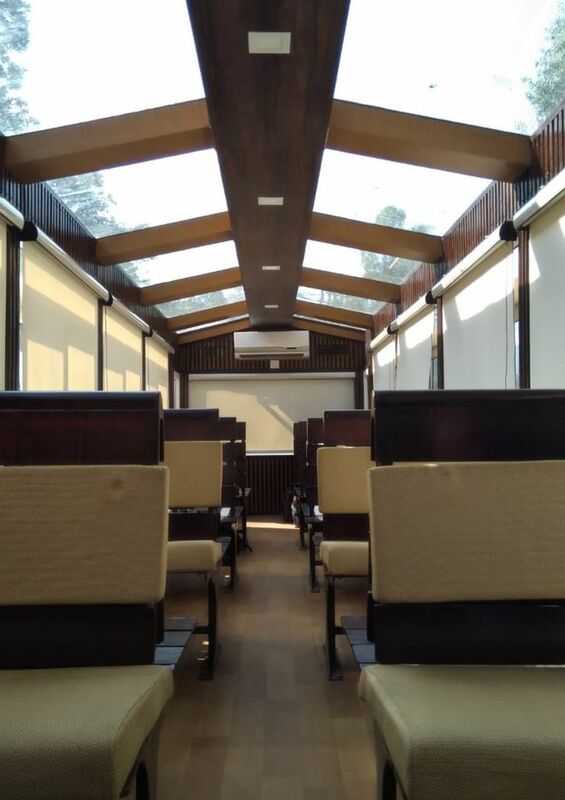 Northern Railways has introduced Vistadome coach on historic Shimla-Kalka railway line. 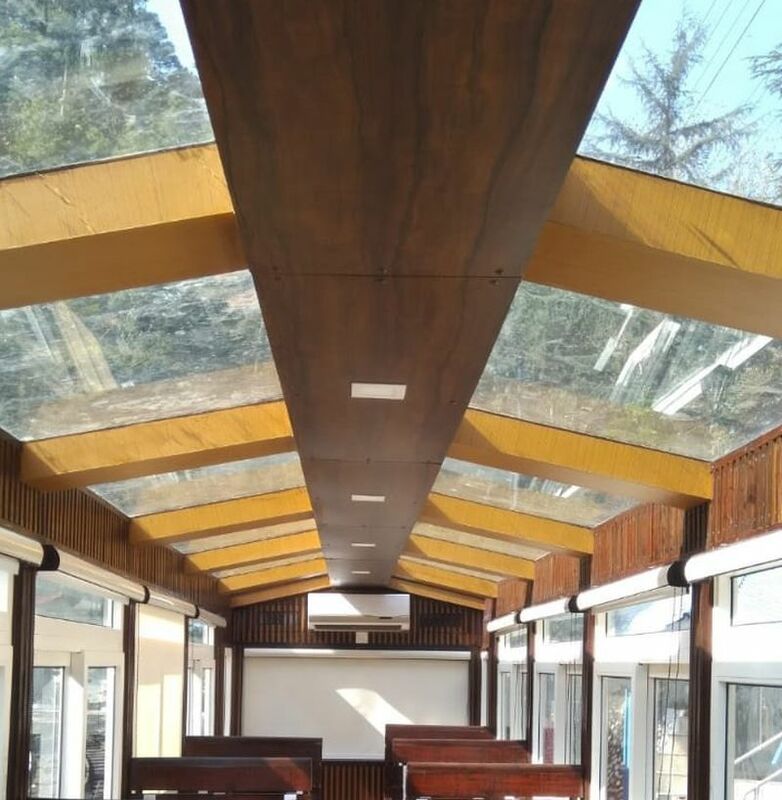 Now passengers will be able to travel in a specially designed coach that has a see-through glass roof top. As per information Vistadome coach have seating capacity of 36 and is fully air-conditioned. Its roof and doors are transparent and made of 12-mm thick glass. 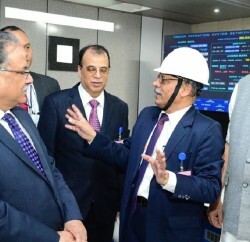 The steel railings have been erected along the doors and to make the train journey more comfortable for the passengers, the coach has been equipped with cushioned wooden interiors, LED lights and window blinds. 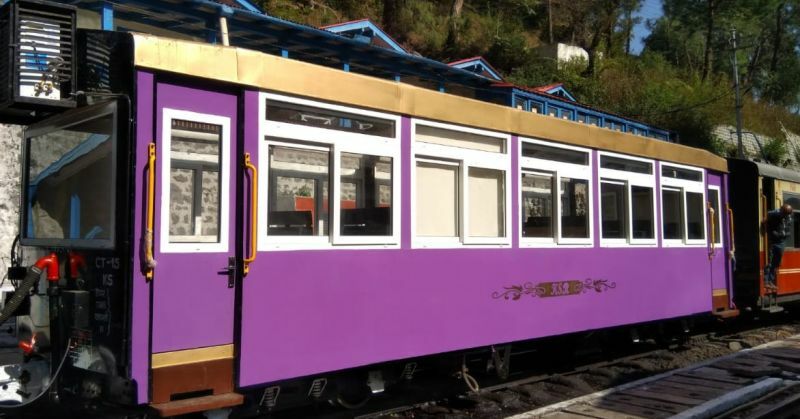 The Vistadome coach is named Nihaar, and is a first-of-its-kind in this Kalka-Shimla railway section.